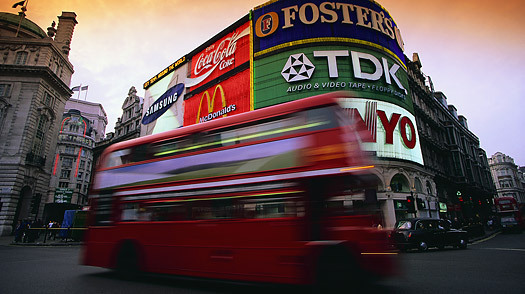 There is no shortage of tourist staples: Buckingham Palace, Piccadilly Circus, Marble Arch, Big Ben, the iconic red double-decker bus. (London Mayor Boris Johnson, a shambling, shock-haired media celebrity and tourist attraction in his own right, got rid of the city's articulated single-decker buses, which he considered a menace to cyclists  Johnson is often seen weaving toward City Hall on his bicycle.) But London's appeal doesn't lie only in its architectural and cultural treasures. This is also the best people-watching city in the world. Its 7.5 million residents  some born within its boundaries, others irresistibly drawn to it  are deliriously motley, speaking more than 300 languages among them. If you've got just 24 hours, here are 10 unmissable places to observe Londoners in their natural habitat. London Guide: Find travel deals, hotels and more!